1. 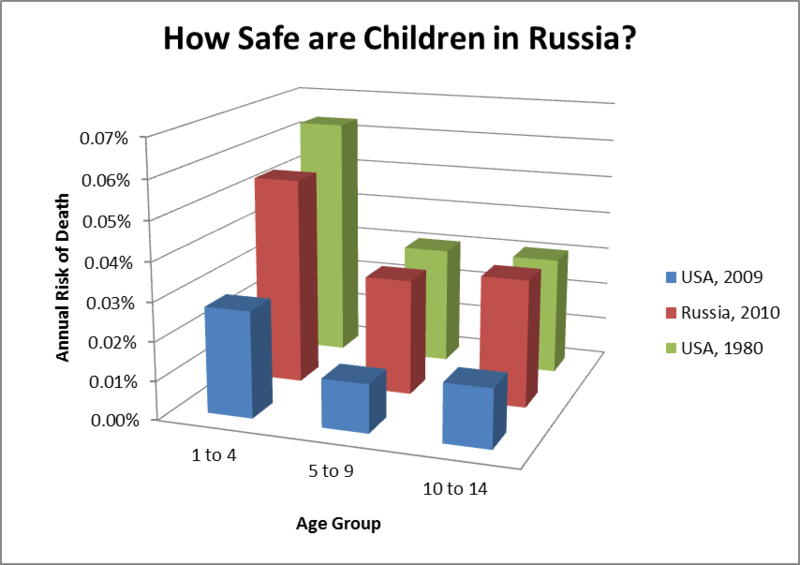 For Russian orphans life is much more dangerous in Russia than in America. Let’s agree to disregard the hidden subtext which implies that any country ought to give over its orphans to foreign nationals should it be ranked safer for children. Let’s first examine if the claim that Russia is 39 times more dangerous for adoptees than the US is even true. According to official government statistics, a child adopted by Russian parents is 39 times more likely to die than one adopted by parents in the West. … and Victor Davidoff at the St. Petersburg Times. It is also well-known that the chances a child will die after being adopted by a family in Russia are almost 40 times higher than if adopted by a family in the West. While it’s no great secret that Western countries are safer than Russia, the differential struck me as absurdly high. Especially when I checked mortality rates, according to which on average Russian children have approximately twice the risk of death as do their American counterparts (or the same as the US in 1980). This is pretty much as to be expected, as Russian healthcare despite intensive modernization in the past decade still lags developed country standards. So we have a paradox: While Russian children are on average are “only” 2x as likely to die as American ones, adoptees in particular are supposedly 39x more at risk. The differential between the two groups is simply too high to be credible. Already for several years semi-official documents cite the following number: Since 1991 to 2006, i.e. over 15 years, there died 1,220 children who had been adopted by Russian citizens. Of them 12 were killed by their own adopters. During this same period, from 1991 to 2006, there died 18 Russian children in adopting families in the West. Knowing the number of adoptees there and in Russia (92,000 and 158,000, respectively) we can calculate the relative danger of adoption in these two worlds. 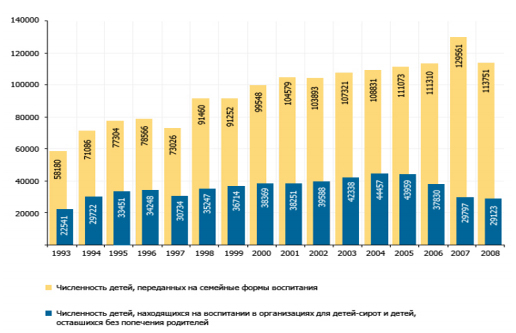 It turns out that there is one dead child per 5,103 foreign families, whereas in Russian families this ratio is at one dead child to every 130 families. This means that adoptees in Russian families are in 39 times more danger than in foreign ones. So the article at Ttolk is basically comparing apples and oranges, i.e. the numbers of Russian adoptees who died in foreign countries vs. the numbers of Russian adoptees that were ill treated in Russia. Of course the latter figure is always going to be much, much higher. What concrete findings we have (assuming the rest of the article is accurate) is that 18 Russian adoptees died in foreign countries (of those we know! there is no systemic tracking) during 1991-2006 vs. 12 Russian adoptees died by the fault of their foster parents specifically during 1999-2004 or so. So while an exact comparison remains elusive we can know be fairly certain that in fact the risk of murder is broadly similar for a Russian adoptee in both Russia and the US. Basically it is (thankfully) extremely rare in both countries. I would also point out that this is far from a “Russophile” or “Russian chauvinist” conclusion, knowing that a lot of Russians harp on about the supposedly everyday shooting rampages in schools all over America. In reality this is just the usual anti-guns hysteria mixed in with Americanophobia, American schools are actually extremely safe with only 1-1.5% of all violent deaths of children occurring on school premises in any single year. (Even a very “catastrophic” event like the Newtown shooting would only raise this by about one percentage point). This whole episode strongly reminds me of similar cases in the past when some wild figure was misquoted, spread in Russian liberal circles, and then transferred to the West. E.g. 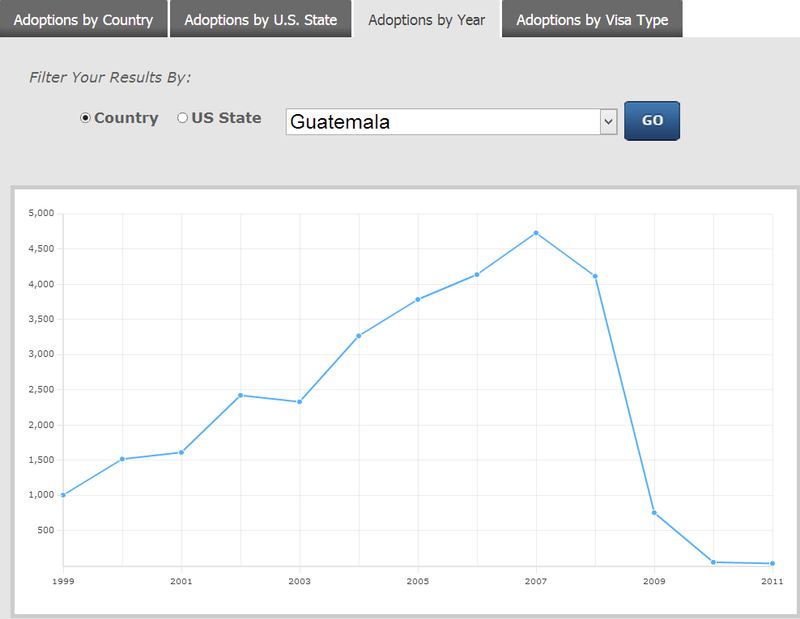 an imaginary spike of abortions in the wake of the economic crisis. 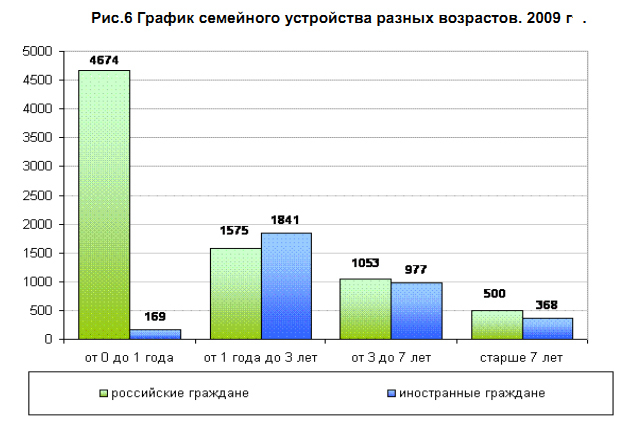 Or the wild exaggeration of Russian emigration figures. “I gather the Federation Council has now voted unanimously to support the adoption ban. This is a direct result of the campaign against it. The adoption ban looks to me like an emotional response not just to the Magnitsky law but also to the way in which the original Dima Yakovlev law was first formulated. This very wisely limited sanctions to US officials who have violated the human rights of Russians. By doing so Russia has avoided the ridiculous situation created by the Magnitsky law by not extending its jurisdiction to US citizens whose actions have nothing to do with Russia. Understandably enough someone decided to name the law after Dima Yakovlev, who is not a Russian whose rights were violated but who as a child makes the ideal poster boy for this sort of law. However by naming the law after Dima Yakovlev the whole subject of the mistreatment of Russian children in the US was opened up and someone (Putin?, Russia’s Children’s Ombudsman?, someone within United Russia?) in what was surely an emotional response decided to tack on an adoption ban to the original Dima Yakovlev law. That this was not pre planned is shown by the fact that the Russian Foreign Ministry was until recently busy negotiating the agreement with the State Department to protect Russian children that I discussed previously. I gather this agreement was reached as recently as last month i.e. November not September as I said in my previous comment. It is scarcely likely that the Russian government negotiated an agreement it planned to cancel, which shows that the adoption ban must have been an emotional afterthought. Since the adoption ban was almost certainly an emotional afterthought that almost certainly had not been properly thought through the best way to defeat it would have been to try to reason the Russian parliament and government and Russian public opinion out of it. The point could have been made that adoption is a private matter, that the number of Russian children abused by their US adoptive parents is microscopically small, that it is unfair on other intended US adopted parents to discriminate against them because of the bad behavior of a very few bad US adoptive parents and that the problems involving Russian children with the US authorities and with the US courts have hopefully been addressed by the agreement with the US State Department, which should be given a chance to work. It could also have been pointed out that the adoption ban sits uneasily with the rest of the Dima Yakovlev law, which is intended to hit out at US officials who violate the rights of Russian citizens and not at innocent US citizens who want to adopt Russian children. All of these arguments have been lost by the hysterical and hyperbolic reaction to the adoption ban. Thus critics of the law have accused Russian legislators of cynically acting contrary to the interests of children, which unnecessarily offends those Russian legislators who may genuinely have thought that by supporting the adoption ban they were trying to protect Russian children. They have also all but said that Russia is incapable of looking after its own orphaned children, which must offend patriotically minded people generally. They have even come close to insinuating that Russian children are better off being brought up in the US than in Russia, which must offend patriotically minded people even more. For its part the US has behaved equally crassly by using the Magnitsky law to threaten Russian legislators in a matter that has nothing to do with either human rights or with Magnitsky and by apparently saying that the adoption ban violates the UN Convention on the Rights of the Child, which is doubtful but which is also crass if it is true as I have heard that unlike Russia the US is one of the two or three countries which have not ratified it. But inside Russia the bill has been criticised by opposition figures as “cannibalistic”, with a petition against the act being signed by more than 100,000 people. 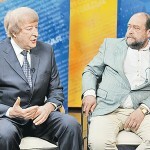 The Western media has spread the idea there is huge grassroots opposition to the Dima Yakovlev law. In addition there has been coverage of a petition floating around the White House to place Duma deputies who voted for the adoptions ban to be placed on the Magnitsky list as “human rights abusers” and denied entry to the US. This image is however almost entirely false. Not all the adopted children thrived, as the populations “back home” are painfully aware. In 2008 Dima Yakovlev, a Russian toddler adopted by Americans, died after being left in a sweltering car for hours. His adopted parents were found not guilty of involuntary manslaughter. Russia’s new bill is named after Dima Yakovlev. 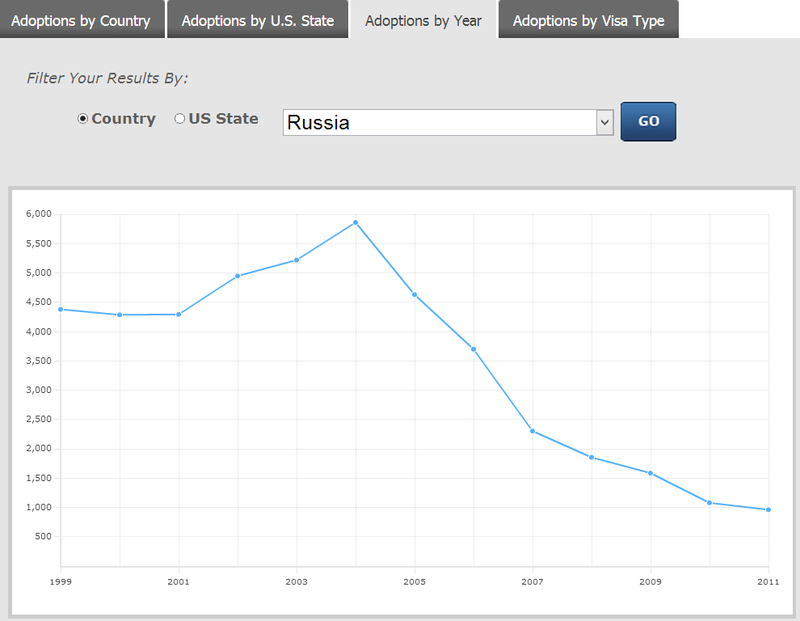 As it turns out, the ban on American adoptions is remarkably popular in Russia. A new Russian survey finds that 56 percent support the ban and 21 percent oppose, a ratio of almost three-to-one. The support seems to stem from a belief that American families are dangerous, cruel, and at times violent to their adoptive Russian children. Here is the link to the FOM poll. What’s especially noticeable is that a majority of all major social groups support it: 44% of Prokhorov voters; 50% of young people; 48% of people with a higher education; etc. If one believes that only the scum of the earth like Putin could write the Dima Yakovlev Law, then it would be incongruent not to extend the hatred towards ordinary Russians. La Russophobe is one of the few who gets points for consistency. 4. The Russian government was very enthusiastic about the Dima Yakovlev Law. No, it wasn’t. As Mercouris wrote above, it basically torpedoed months of negotiations with the Americans for Russian officials to get more information about the status of Russian orphans in the US. That is presumably why FM Lavrov was against it as were at least two other Ministers. It was the Duma taking the initiative. In a further irony, I found an article at the Communist Party website that criticized United Russia for not supporting a similar law back in 2010. NOTE: The following points are taken pretty much directly from the very разоблачительная article “Orphans Q&A” by gloriaputina. 5. Russia has an inordinately huge number of orphans. The number is 654,355 as of end-2011, however the vast majority are so-called “social orphans” (their parents have been found incapable of parenting). Furthermore, even if a social orphan is adopted, he still remains in the social orphan category. The analogous figure for the US is 3 MILLION. Ironically, as argued by the blogger, there is an inverse correlation between the rate of orphans and children’s safety. Basically when the state makes children into orphans, the numbers of deaths of children falls (presumably because they are taken away from violent and/or abusive parents). 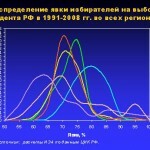 Now yes of course this is not positively good, sometimes there are ridiculous cases, but in Russia at least he is correct in that there is a correlation: As the numbers of parents who had children taken away climbed from 31,000 in 1995 to 53,000 in 2000 and 74,000 in 2008, overall child mortality has plummeted throughout the period (although of course other factors like better healthcare and less alcohol consumption would also play major roles). Very few Russians abandon their children. They account for 1% of the total number of orphans, vs. 4% both of whose parents died, and 95% “social orphans”. 6. Russians don’t adopt, if there are no kind Americans to take up some of the slack, Russian orphans will be condemned to slow death in state orphanages. It’s not so much a matter of Russians and Americans not adopting as few people anywhere being interested in adopting children over the age of three. Here is a graph. 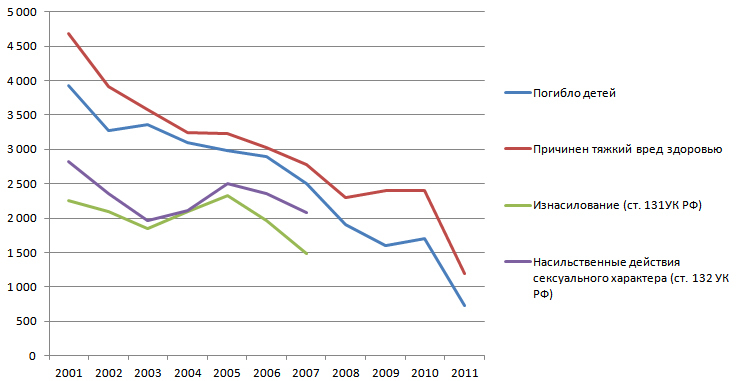 In the above graph green represents adoption by Russian citizens, blue by foreign citizens, in 2009. In state orphanages, 90% of children are older than 11 years; 70-80% are older than 14 years. There is a waiting list for adopting children under the age of 3. 7. The majority of Russian orphans have to live in orphanages. Wrong, and this apparently has never been the case. The yellow bars represent children who are transferred to foster parents (which I think is distinct from “adopted” as in the US), the blue bars represent the numbers of children who are housed in state institutions at any one year. The ratio between the two is steadily increasing and converging to the typical Western model, in which almost all children are taken in by foster parents. 7. Russians only adopt healthy children, while only kind foreigners take those with disabilities. Again, wrong. 30% of the children in the federal database are children with some registered physical disability; the vast majority of them are living with families, only 5% of their numbers live in child institutions. Now since 1995 about 10% of Russian children adopted by both foreigners in general and Americans in particular were registered as having a disability. In 2011, the US adopted 44 children with disabilities, whereas Russians adopted 188 children with disabilities. In 2009-2011 more than 20,000 orphaned (0-6 age range) children left Russia, whereas as of January 2012, the waiting list for them in Russia was 12,900 long. 8. Russia is alone in being a nasty country that (now) bans American adoptions of children. In any case adoptions from Russia had been dropping rapidly since 2004 anyway, constituting less than 1,000 by 2011. There are in fact quite a number of countries that make foreign adoptions very difficult stopping short of outright bans including many in the ECE area. Russia’s ban is the only one the Western media decides to politicize however (although in fairness it’s a two way street given the absurd association on Russia’s part to portray it as a response to the Magnitsky Act). 9. 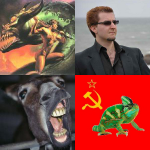 I think that the Dima Yakovlev Law is a good idea. No, I don’t, I’m just clearing up major misconceptions in this post. While there may be valid grounds to much more stringently regulate foreign adoptions (e.g. ensuring all Russians wishing to adopt have the chance to, and ensure children don’t fall into the hands of pimps/organ traders/etc), the decision to only target Americans and to present it as a response to the Magnitsky Act is crude and idiotic, and just one of the many examples of the Russian government shooting itself in the foot PR-wise.